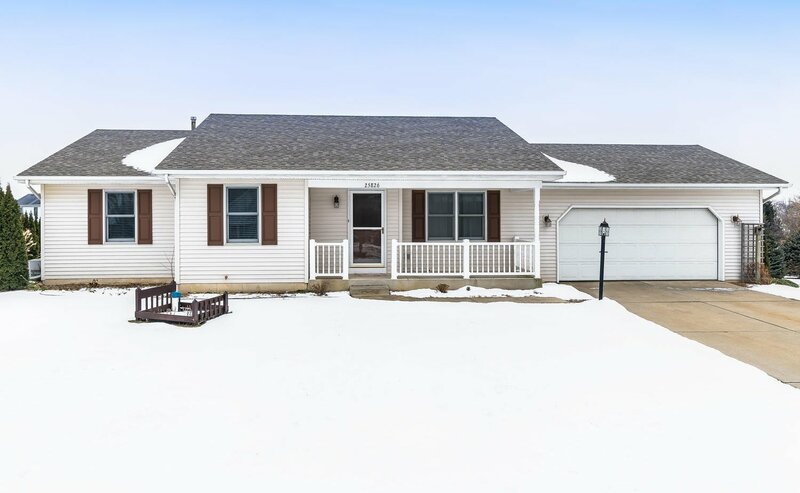 Enjoy this lovely walkout ranch home in Fox Run which offers nearly 2200 square feet of living space including a finished lower level. Enter the home into the open and inviting Great Room with vaulted ceilings and carpet. It leads into the kitchen with large center island, a dining area, and direct access to the 12 x 24 maintenance-free deck with canopy (included). The main level Master Suite also has a vaulted ceiling and access to a bath with tub/shower combo. Two additional bedrooms share another nearby full bath with tub/shower. Downstairs, the finished walkout basement provides an additional large living area with slider to covered patio, as well as a spacious bedroom with large daylight window and attached full bath - great for entertaining or hosting guests! The exterior of the home is nicely landscaped and a shed in the backyard provides additional storage. Schedule your showing today!